Eight Core Sixteen Threads, Unlocked Multiplier, 3.60GHz 4.0GHz Turbo, 16MB Cache, 95W, 3 Year Warranty. 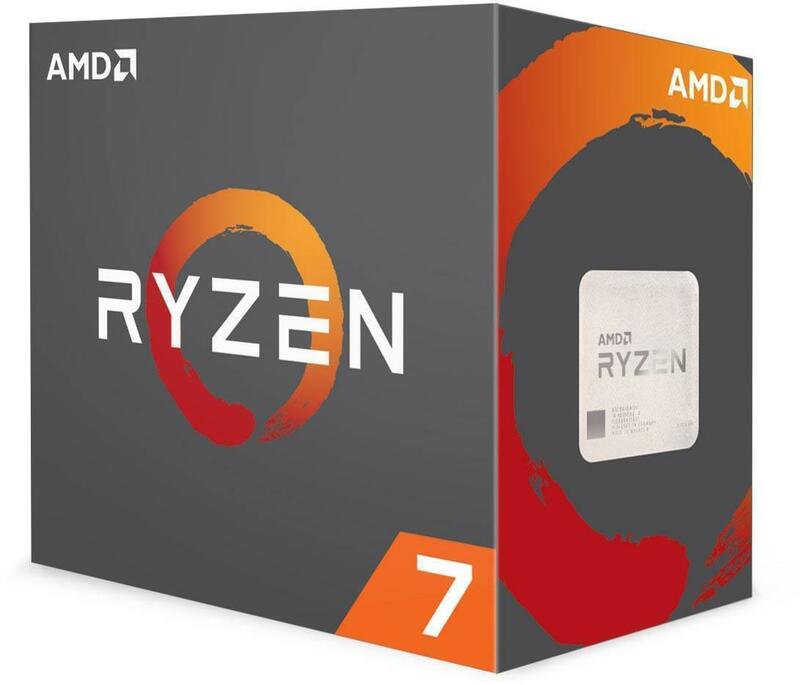 < img> The AMD Ryzen 7 1800X is a processor hailing from the new "Summit Ridge" generation with eight logical CPU cores that, thanks to Simultaneous Multithreading (SMT), are capable of processing two threads at once on each core. This means that the number of processor cores is effectively supplemented by the addition of eight further virtual cores to make a total of 16 effective cores. 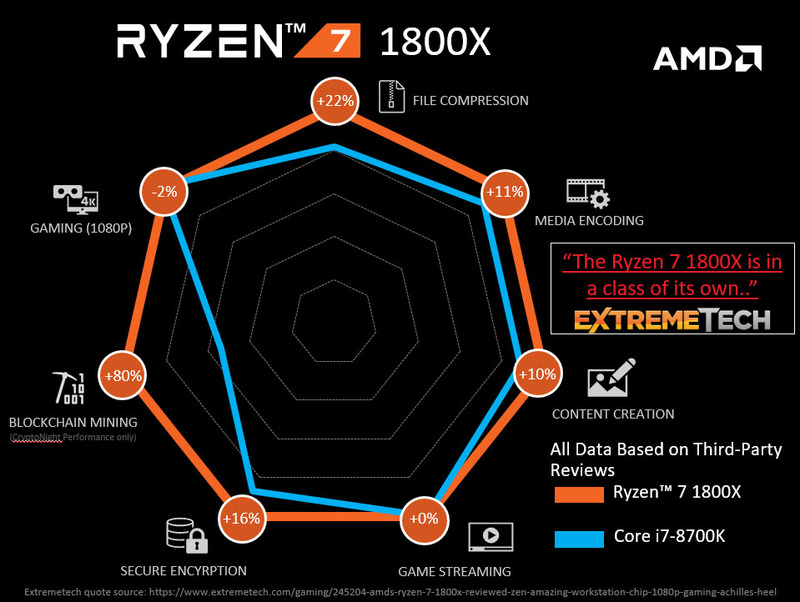 The 8-core top-of-the-range model functions at a high clock rate of 3,6 GHz per core which, due to the implementation of Precision Boost, performs real-time tuning in accordance with the performance demands placed on the processor. This holds true in respect to both games and applications, adjusting itself on-the-fly in precise 25 MHz increments within the TDP framework up to a maximum of 4,0 GHz. The silicon is lithographed in the advanced 14 nm FinFET manufacturing process with stacked transistors (also known as 3D transistors). 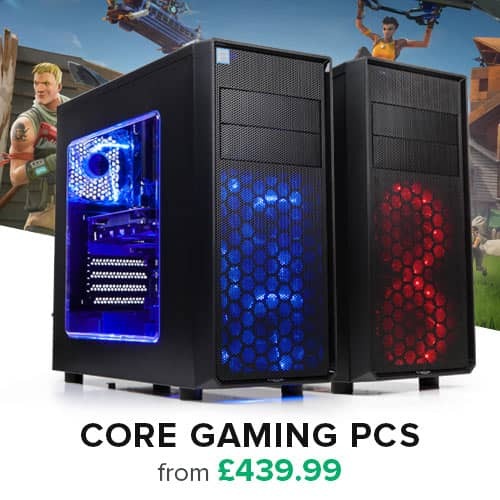 This striking reduction in scale has resulted in space being freed up on the processor die, thereby permitting the integration of a total of 4 MB Level 2 Cache and a full 16 MB Level 3 Cache into the centrepiece of the PC. 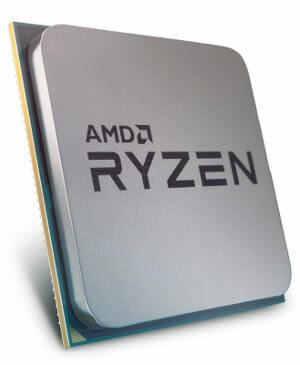 Due to the intelligently controlled cache buffer and thanks to the "Smart Prefetch" predictive algorithms, Ryzen is capable of ensuring instantaneous data access and swift compute performance in all use cases - irrespective of whether the task involves gaming and Virtual Reality or cloud computing and virtualisation. 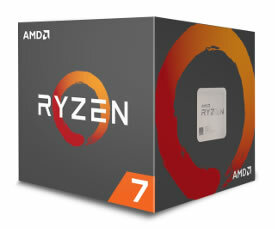 < img> Motherboards equipped with the AM4 socket serve as the foundation for AMD's range of Ryzen CPUs, and they also offer cutting-edge interfaces. The CPU itself possesses four dedicated PCI-Express 3.0 lanes providing compatibility with modern SATA and PCI-Express SSDs in both M.2 and U.2 formats as well as support for the NVM-Express protocol (NVMe for short). 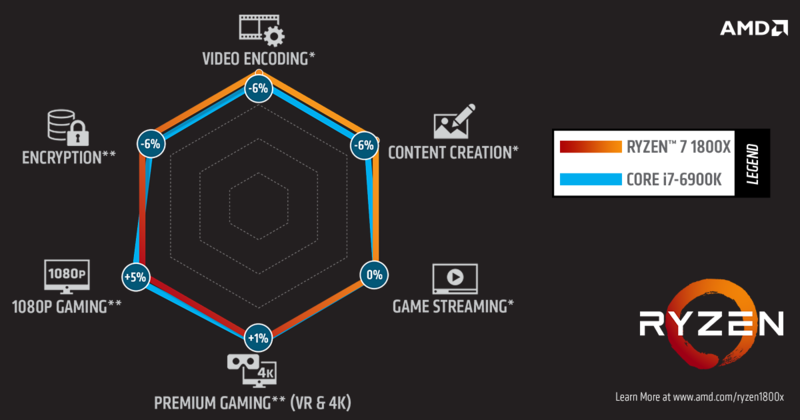 A further 16 PCIe 3.0 lanes deliver abundant bandwidth for even high-end gaming graphics cards. Additional PCIe lanes for data storage, expansion cards and peripheral devices are allocated separately, dependent upon the chipset of the motherboard. The new AM4 platform also supports up-to-date external device interfaces like USB 3.1 Gen 2 with Type A and/or Type C connectors and high data transfer rates of up to 10 Gbit/s. The CPU's integrated memory controller supports AM4 motherboards as well as speedy and energy-efficient DDR4-RAM in dual-channel mode with or without ECC error correction. 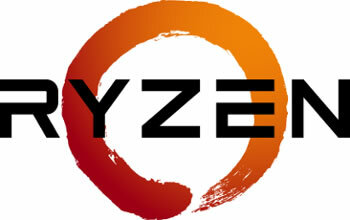 Ryzen processors are also continually monitored by AMD's special "Pure Power" sensors. These sensors monitor temperatures, voltages and frequencies in order to perfectly tailor energy usage with an eye to different use case scenarios. Even with respect to SIMD instruction set extension AMD is now pulling up equal to the competition and has now mastered AVX2 (Advanced Vector Extensions), which enable dramatic performance improvements in floating-point calculations in scientific simulations, video-, picture- and audio editing, as well as video games and multimedia applications, in so far as the application supports this feature. Note: This is a "WOF" boxed version that does not include a bundled CPU cooler. 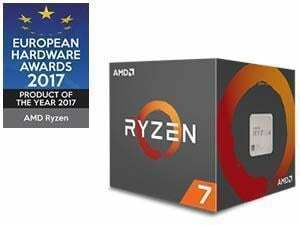 All AMD Ryzen CPUs also require an AM4-compatible motherboard.